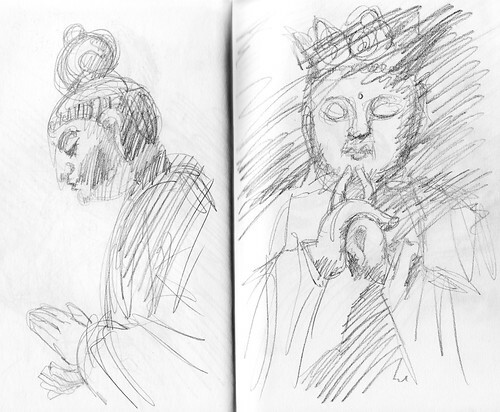 Buddhas at the Royal Ontario Museum, Sketchbook Toronto 1985, originally uploaded by Brin d’Acier. I started taking my sketchbook to museums, and drawing what I saw. I noticed that this helped me to focus on the exhibits better than just walking around and reading the plaques. 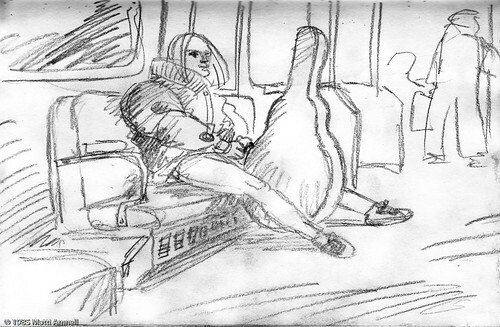 Subway scene, Sketchbook Toronto 1985, originally uploaded by Brin d’Acier. I started drawing on the subway, as it provided me with static models and filled my commute time. Seated figure, reading. Sketchbook Toronto 1985, originally uploaded by Brin d’Acier. 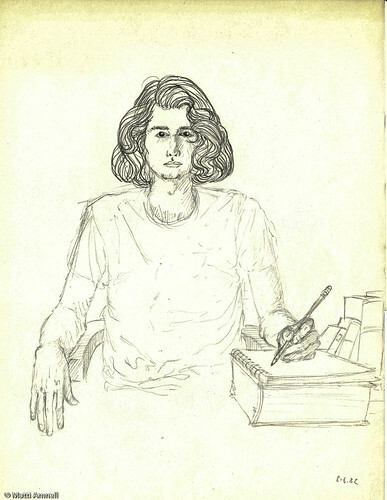 I started my first regular sketchbook in 1985, inspired by one kept by my art teacher at the University of Toronto. His was full of elaborate anatomy drawings and gouache that ran over the sides. 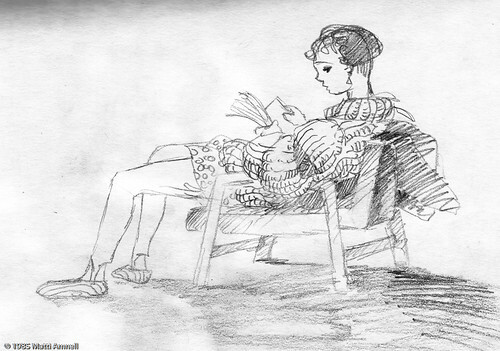 Mine was much more modest, furtive drawings of people around me, all in pencil.